I really like a red and gold combo.... with white as a contrast! 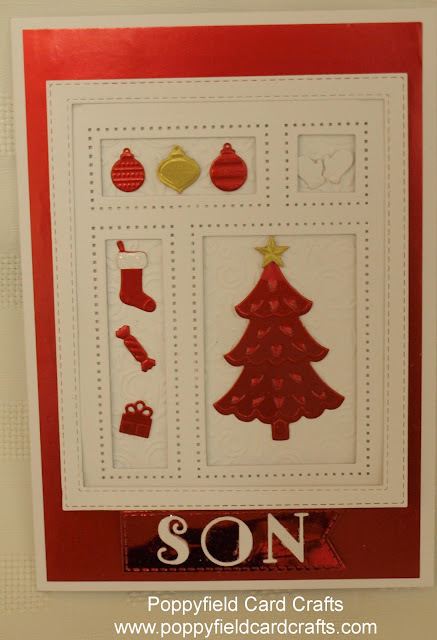 I used elements from the Shadow Box Collection , added polished glitter to the stocking top, die cut 'son' and mounted that onto, yes, mirror card, hence the black shadow!! I'm a glutton for punishment with this mirri card LOL. It is red without an ounce of black anywhere!